Looks like they switched this mount ID with the Faerie Dragon one, so my comment is now out of date. This is right up there with the bat mount in terms of "TELL ME HOW I CAN GET THIS NOW, PLEASE." They're really milking this one... now telling us of a name change, yet we still don't know HOW to acquire the guy! I'm still hoping it's a store mount, but at this point if they haven't said that, the chances are greatly diminished. This spell ID was previously used on the 5.3 PTR to refer to a Faerie Dragon mount. It has since been used to describe summoning the Hearthsteed mount, a promotional reward for Hearthstone tied into Hé, rosse de Warcraft !. This is one of the coolest mounts. I really want to get into Hearthstone Beta now! This means that getting the achievement Hé, rosse de Warcraft ! will (most likely) NOT be gotten from purchasing a card pack during the Hearthstone Beta. I recently got the hearthstone beta, but where do i get the mount? The Hearthsteed promotional mount for WoW is the reward for winning 3 games. This is the same criteria the reward was previously paired up with and now it actually references the mount name! Below are the new achievements added! We are not sure if the Hearthsteed will be obtainable when the patch hits, but the mount and achievement have been around since World of Warcraft patch 5.3.0. Is only the blue version available? 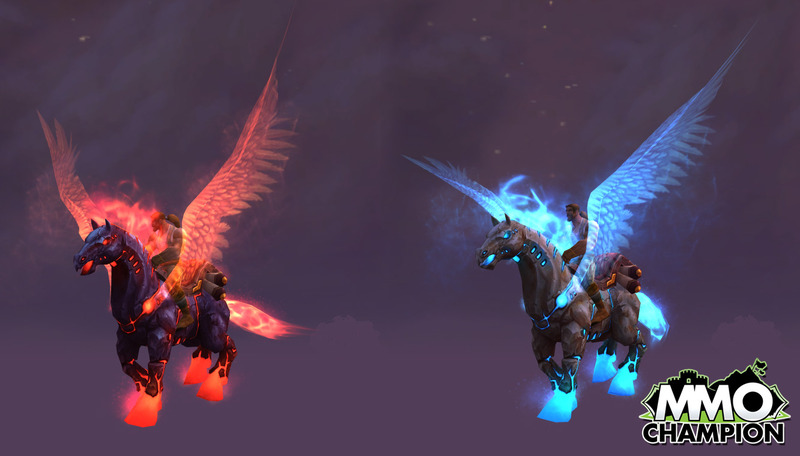 So, how do I get the red Hearthsteed? I've seen it on some pictures. If you Google "Hearthsteed". Is this still available to get? Keep in mind that this is the only Horse mount in the game that has a realistic horse run and jump animation, I hope in the future Blizz decides to give the other horse mounts this animation. Invoque et renvoie un deckstrier ailé. Cette monture change en fonction de votre compétence de monte et de l'endroit où vous vous trouvez. "Chaque pas fait écho à la fureur de vos trois adversaires."